When you give attention and study to the Law you soon become aware of the fact, there are different meanings to words when you become a member of the club called the Law Society. Legalese is the language they use and we are not told of the fact, this matters when you consider that the letters UN, are defined as meaning ‘no’. From this we can deduce that what the elect actually mean in the title of the United Nations, is in fact a term that signifies the Un-Knighted Nations relating to how the Templars and all the secret societies that interconnect on all levels, and come from the same source, see all those beneath them. This is a commercial demarcation, or your value as opposed to the value of a Knight, and the people within each region, tied to the U.N, because their government is bankrupt, are classed through the tacit agreement of the populations, as mere assets in a game called slavery. Let us be perfectly clear, the peace conference was about bleeding Germany to death; it was about securing huge sums of money for the international brigand-bankers who had already reaped obscene re wards alongside the terrible casualties of the five-year war (1914 1919). Britain alone suffered 1,000,000 deaths and more than 2,000,000 wounded. It is estimated by war historian Alan Brugar, that the international bankers made a profit of $10,000 from every soldier who fell in battle. Life is cheap when it comes to the Committee of 300-Iluminati-Rothschilds-Warburg-Federal Reserve bankers, who financed both sides of the war. It is also worthwhile to remember that H.G. Wells and Lord Bertrand Russell foresaw this terrible war in which millions the flowers of the mostly Christian nations died needless deaths. The Committee of 300 planned the war so that international bankers would profit greatly. H.G. Wells was known as the “prophet” to the Committee of 300. It is true to say that Wells merely brought up-to-date the ideas of the British East India Company (BEIC) which were carried out by Jeremy Bentham and Adam Smith, to name two of the wreckers used by King George III to undermine and scuttle the economic future of the North American colonists seeking to escape the economic toils of the Venetian Party of the North in the late 1700s. In his book, “After Democracy,” Wells stated that once the economic order (social energy), of a dictatorship One World Government is established, a political and social order will be imposed. This was precisely what the Paris Peace Talks that began in 1919 set out to do, based primarily upon a Royal Institute for International Affairs (RIIA) memorandum. The RIIA drafted a 23-point proposal which it sent to Woodrow Wilson, who handed it to Mandel Huis, (a.k.a. Colonel House), Wilson’s Dutch-born controller. Col. House immediately left for Magnolia, his private residence in Massachusetts, where he reduced the number of proposals to 14, creating the basis of the “14 Points” presented to the Paris Peace Conference by President Wilson in December of 1918. Wilson’s arrival in Paris was greeted with wild enthusiasm by the poor and deluded populace who had grown tired of war and who saw in Wilson, the harbinger of eternal peace. Wilson cloaked his speeches in true diplomacy by deception language; a new spirit of idealism â€” even while intent on securing control of the world by the international bankers through the League of Nations. The similarity between the way the League of Nations Treaty and its successor, the United Nations Treaty were floated, should not be lost on the reader. German delegates were kept out of the proceedings until the terms were ready to be submitted to the conference. Russia was not represented, because public opinion violently opposed Bolshevism. British Prime Minister Lloyd George and President Wilson well knew that the Bolshevik Revolution was about to succeed with terrible consequences for the Russian people. On January 25,1919, the agenda of the RIIA won out, the conference delegates unanimously adopted a resolution for the creation of a League of Nations. A committee was chosen (whose members were actually nominated by the RIIA) to deal with reparations by Germany. On February 15,1919, Wilson returned to the United States and Lloyd George went back to London. By March however, both men were back in Paris to work on how best Germany could be financially ripped apartâ€”and the Council of Ten, having proved too cumbersome, was reduced to the Council of Four. The British invited Gen. Jan Christian Smuts, a Boer War veteran, to join in the discussions, to add an aura of good faith to the deplorable plot. Smuts was a traitor to his own people. As Prime Minister he had led South Africa into the First World War over the objections of 78 percent of its people who felt they had no quarrel with Germany. Smuts became part of the committee consisting of Wilson, House, Lord Cecil controller of the British Royal Family (see my monograph “King Makers/King Breakers”), Bourgeois and Venizelos. The League of Nations was born in January of 1920. Housed in Geneva, it consisted of a secretary-general, a Council (chosen from the five major powers) and a General Assembly. The German nation was sold down the river, the terms of peace far exceeding those agreed upon when Germany was persuaded to lay down its arms. The The international bankers became the big winners, eventually stripping Germany of all major assets and receiving huge “reparation” payments. The RIIA now felt it had “everything in the bag” to quote Wilson. But the RIIA had not reckoned with a large number of U.S. Senators who knew the U.S. Constitution. By contrast, the number of senators and congressman who really know the U.S. Constitution today, number only about twenty. For example Senator Robert Byrd, an admitted Rockefeller portage said recently that a treaty is the supreme law of the land. Apparently, Sen. Byrd does not know that for a treaty to be valid, it has to be made with a country that has sovereignty, and the United Nations, as we will find, has no sovereignty whatsoever. In any case, a treaty is only a law and cannot override the U.S. Constitution, nor can it stand when it threatens the sovereignty and security of the United States. If Sen. Byrd holds this view, we wonder why he voted to give the Panama Canal away? When the United States acquired the land for the Panama Canal from Colombia, the land became sovereign U.S. territory. Therefore, the Panama Canal give-away was unconstitutional and illegal, as we shall see in the chapter dealing with the Carter-Torrijos Panama Canal Treaty. When the League of Nations Treaty was brought before the U.S. Senate in March of 1920, 49 senators understood the immense implications involved, and refused to ratify it There was much discussion compared to what passed for a debate when the U.N. Charter came before the Senate in 1945. Several amendments to the League treaty were submitted by the RIIA. These were acceptable to President Wilson, but were refused by the Senate. On November 19, 1920, the Senate rejected the treaty with and without reservations by a vote of 49-35. The international bankers then directed Wilson to veto a joint resolution of Congress, declaring the war with Germany at an end, so that they could go on savaging the German nation for another whole year. It was not until April 18, 1945 that the League of Nations dissolved itself, transferring all of its assets (mainly money taken from the German people after WWI, and war loans not repaid by the allies to the United States) to the United Nations In other words, the Committee of 300 never gave up on its plans for a One World Government and waited until the United Nations was in existence before dissolving the discredited League of Nations. The money that the League of Nations transferred to the United Nations rightfully belonged to the sovereign people of the United States. The United States had advanced billions of dollars to so-called allies to pull their chestnuts out of the fire after they’d picked a quarrel with Germany in 1914 and were in dire danger of losing the fight. In 1923, a U.S. observer was sent to the Lausanne Conference of the Allied Powers for discussions on repayment of the $10.4 billion owed to the United States, and splitting up the Middle East oil-producing countries between themselves. The international bankers objected to U.S. intervention at Lausanne on the basis of instructions received from Chatham House, home of the RIIA. The first repayment agreement was reached with Britain, which was to repay war loans over a 62-year period, at interest of 3.3 percent. In November of 1925 and April of 1926, the United States reached agreements with Italy and France to repay their share of war loans over the same period. By May of 1930,17 nations who had been loaned money by the United States had signed agreements to repay all of their war loans, amounting to nearly $11 billion. In November of 1932, Franklin D. Roosevelt was elected the first openly socialist President of the United States. Socialist Roosevelt’s arrival at the White House had its beginning in the murder of President William McKinley, followed by the election of the fraudulent “patriot” Teddy Roosevelt, whose job it was to open the doors to socialism which was to be ushered in by Franklin D. Roosevelt. This contrived sequence of events is too long be recounted here. On instructions from Chatham House, Roosevelt lost no time in winking at the horrendous default on the loan agreements signed by the allies. By December 15 1932, all of the nations who owed the United States billions of dollars for war debts were in default Britain was the largest debtor and the largest defaulter. A substantial amount of this money, plus much of what was wrenched from Germany after WWI, went into the coffers of the League of Nations, and eventually wound up in the coffers of the United Nations. Thus, not only did America needlessly sacrifice its soldier sons on the battlefields of Europe, but had its pockets picked as well by the nations that began the First World War. Worse yet worthless war reparation bonds were dumped into the American financial market, costing taxpayers additional billions of dollars. The world state (OWG), Wells said, “must be the sole landowner on earth. All roads must lead to socialism.” In his book, “After Democracy,” Wells clearly said that once world economic order is established (through the International Monetary Fund and the Bank of International Settlements), political and social order will be imposed. In the chapter on the Tavistock Institute for Human Relations, it will be explained how Tavistock’s “Operation Research” was to be the engine to bring about drastic reforms in economics and politics. In the case of the United States, the plan is not to overthrow the U.S. government or its Constitution, but to “make it negligible.” This has largely been accomplished by slowly and carefully implementing the socialist manifesto written in 1920 by the Fabian Society, which was based on the Communist Manifesto of 1848. Isn’t this making of the Constitution “negligible” exactly what is happening? In fact when the U.S. government violates the Constitution on an almost daily basis with total impunity, it makes the Constitution “negligible.” Executive orders, such as going to war without a declaration of war, as in the Gulf War, have worked to make the Constitution “negligible.” There is absolutely no provision in the Constitution for executive orders. Executive orders are only proclamations which the president has no power or authority to make. Only a king can make proclamations. The warmed over League of Nations was thrust upon the U.S. Senate in 1945, dressed under a new label: the United Nations Treaty. The senators were given only three days to discuss the implications of the treaty, which could not have been fully examined in under least a full 18 months of discussion. Had the senators properly understood what they were discussing, which, apart from a few exceptions, they did not, there would have been a demand for a proper period for discussion. The fact is that the Senate did not understand the document and therefore should not have voted on it. Had the senators who debated the United Nations treaty properly understood the document it surely would have been rejected. Apart from any other considerations, the document was so poorly written and, in many instances, so vague, deceptive and contradictory, that it could have been rejected on these grounds alone. Our Constitution rests upon the bedrock of sovereignty, without which there can be no constitution. U.S. foreign policy is based upon Vattel’s “Law of Nations” which makes sovereignty the issue. Although the Constitution is silent on world government and foreign bodies, when the Constitution is silent of a power, and it is not incidental to another power in the Constitution, then it is an inhibition of that power, or a PROHIBITION of that power. 2. The United Nations is not a sovereign body, having no measurable territory of its own. It is housed on U.S. territory in New York in a building loaned by the Rockefellers. Under the U.S. Constitution, we cannot make a treaty with any nation or body that lacks sovereignty. The United States could not (and cannot) make a treaty with a body or country having no sovereignty. The U.S. can make an agreement with a country or body having no sovereignty, but can never enter into a treaty with a body lacking in sovereignty. 3. For the Senate to have attempted to ratify a treaty with a body, state, or country lacking sovereignty, defined boundaries, demographics, a currency system, a set of laws or a constitution, to whit, the United Nations, was to betray the oath to uphold the Constitution which senators are sworn to do. This is commonly called treason. 4. In order for the United States to become a member of the United Nations, two amendments to the Constitution would have to be passed. The first amendment would have to recognize that a world body exists. In its present form, the Constitution cannot recognise the United Nations as a world body. A second amendment would have to say that the United States can have a treaty relationship with an unsovereign world body. Neither amendment was ever offered, much less accepted by the Senate and ratified by all of the States. Thus, the thoroughly suspect U.N. “treaty” never was a legal law in the United States. As matters stood in 1945, and as they stand in 1993, although the President has the power to have a say in foreign affairs, he does not have the power, nor has he ever had the power, to make an agreement much less a treaty with a world body. This absolutely means that no other world body, specifically, the United Nations, has jurisdiction to deploy American servicemen and women, or to order the United States to act outside of the Constitutional restrictions imposed by our Founding Fathers. “We may assume, in fact, that every small country could be under temptation and pressure to seek a big power patron. Only in that way can it obtain an indirect share in the monopoly of control vested in the Big Five. One of the faults of the Charter, Mr. President, is that its punitive and coercive leverage could be applied only against a truly small independent nation.” (Iraq is a perfect example of the rottenness of the U.N. Charter). That the American people have no protection, and no recourse against the war-making potential of the United Nations, was confirmed by the Gulf War when President Bush ran amok, trampling the provisions of the Constitution underfoot. Had President Bush followed the proper procedures and attempted to obtain a declaration of war, the Gulf War would never have happened, because he would have been turned down. Millions of Iraqis and more than 300 U.S. servicemen and women (at 1993) would not have needlessly lost their lives. The president is not the Commander-In-Chief of our armed services until a legal declaration of war has been issued by Congress and the nation is officially at war. If the president were the Commander-In-Chief at all times, the office would have the same powers as a King expressly forbidden by the Constitution. Prior to the Gulf War, CNN accepted the false premise that Bush, as Commander-In-Chief of our armed forces, had the right on his own to commit the military to war. This dangerous interpretation was quickly taken up by the media, and today is accepted as a fact when it is not. A gross deception practiced upon the American people is that the President is the Commander-In-Chief of the armed services at all times. Senate and House members are so poorly informed on the Constitution that they allowed President George Bush to get away with sending almost 500,000 troops to the Gulf to fight a war for British Petroleum and to satisfy a personal hatred toward Saddam Hussein. Bush lost the fiduciary relationship he was supposed to enjoy with the American people right there. President Bill Clinton lately used this “Commander-In-Chief” misconception to try and oblige the military to accept homosexuals in the services, which he does not have the power to do. It is less a question of morals than it is of the President overstepping his authority. The tragic truth about American servicemen being deployed to fight as they were by the United Nations in the Korean and Gulf Wars is that those who died in these wars did not die for their country, as dying for our country under our flag, constitutes an act of sovereignty, which was totally absent in the Korean and Gulf Wars. Since neither the Security Council nor any council of the United Nations has any sovereignty, the U.N. flag is meaningless in every sense. Not a single U.N. Security Council resolution, affecting either directly or indirectly the United States, has any validity, as such resolutions are made by a body which itself has no sovereignty. The U.S. Constitution is above any so-called world body, and that, particularly, includes the United Nations, the U.S. Constitution is above and superior to any agreement or treaty made with any nation or group of nations, whether connected with the United Nations or not. But the United Nations de facto and de jure gives the president of the United States unlimited dictatorial powers not granted by the Constitution. What President Bush did in the Gulf War bypassed the Constitution by issuing a proclamation (an executive order) directly on behalf of the U.N. Security Council. The House and Senate, meanwhile, failed in their constitutional duty to stop the illegal issuance of such an order. They could have done this by refusing to fund the war. Neither the House nor Senate had the right, nor do they have it now, to fund an agreement (or a treaty) with a world body that sets itself up above the U.S. Constitution, especially where that world body has no sovereignty, and more especially, where that body threatens the security of the United States. So how has the United Nations addressed this foundation of law? The Korean, Vietnam and Gulf Wars also violated the U.S. Constitution because they violated Article 1, Section 8, clause 11: “Congress shall have the power to declare war.” It does not say that the State Department the President or the U.N. has this right. The United Nations would have us commit our country to waging war in foreign territories, but Article 1, Section 10, Clause 1 says that no provision shall be made whereby the United States, as a nation, can commit itself to waging wars in foreign countries. Since there has been no valid Constitutional declaration of war by Congress since the Second World War, the United States is at peace, and therefore, our troops stationed in Saudi Arabia, or anywhere in the Persian Gulf region, Botswana and Somalia are there in breach of the Constitution, and should not be funded, but brought back home forthwith. Moreover, the U.N. does not have sovereignty. What constitutes sovereignty? It is based upon adequate territory, a constitutional form of money, a substantial population, in clearly demarcated borders which are definitely measurable. The United Nations is totally lacking in these requirements, and no matter what our politicians might say, the U.N. can never qualify as a sovereign body in terms of the U.S. Constitution’s definition of sovereignty. Therefore, it follows that we can never have a treaty with the U.N. Not now, not ever. The answer could be that, either out of sheer ignorance of the Constitution, or else, as servants of the Committee of 300, the senators, in 1945, went along with the U.N. Charter in breach of their oath of office to defend and uphold the U.S. Constitution. The United Nations is a shiftless, rootless leech, a parasite feeding off its U.S. host. If there are any U.N. troops in this country, they should be ordered out forthwith, as their presence in our land is a defilement of our Constitution, and should not, indeed, cannot be tolerated by those who have sworn an oath to uphold the Constitution. The United Nations is an ongoing extension of the Fabian-Socialist platform established in 1920, of which, every plank has now been carried out exactly in accordance with the Fabian-Socialist blueprint for America. The United Nations presence in Cambodia, its inaction in Bosnia-Herzegovina needs no amplification. Smith’s fears proved to be well-grounded, because this is precisely what President Bush did when he snatched our sons and daughters away from their homes and sent them to fight in the Gulf War under colour of the United Nations, a world body that has no sovereignty. The difference between a treaty (which the documents passed by the Senate in 1945 purported to be) and an agreement, is that a treaty requires sovereignty, whereas an agreement does not require sovereignty. In 1945, the U.S. Senate debated for only three days if one can call that debating the issue of treaties. As we all know, treaties have a history of thousands of years, and the Senate could not, and indeed did not, examine the U.N. Charter to the full extent of the resources which were available to it The U.S. State Department sent its most devious characters to lie and confuse the senators. A good example of this was the testimony of the late John Foster Dulles, one of the top 13 American Illuminati, a Committee of 300 member and a One World Government proponent down to his fingertips. Dulles and his crew, hand-picked by the Committee of 300, were instructed to subvert the Senate, and utterly confuse them, the bulk of whom knew little about the Constitution, as Congressional Record testimony proves rather clearly. Dulles talked a crooked streak, lying blatantly and dissembling when he thought he might be caught in a lie. An altogether treasonous, treacherous performance. Obviously, this tacit admission by Sen. Lucas implied that for the Senate to examine the U.N. Charter properly, it would have taken at least eighteen months to accomplish. It was also an admission that if the documents were studied, the treaty would be rejected. Why the unseemly haste? Had common sense prevailed, had the senators done their homework, they would have seen that it would have taken at least a year and probably two years, to properly study and vote on the charter before them. Had the senators in 1945 done so, thousands of servicemen would still be alive today instead of having sacrificed their lives for the unsovereign body of the United Nations. As shocking as the truth sounds, the stark fact is that the Korean War was an unconstitutional war on behalf of an unsovereign body. Our brave soldiers did not, therefore, die for their country. Likewise in the Gulf War. There will be many more “Korean Wars”; the Gulf War and Somalia being the repercussions of the failure of the U.S. Senate. The United Nations treaty violates at least a dozen provisions of the Constitution, and since a “treaty” cannot override the Constitution, each and every one of its Security Council resolutions, are null and void in so far as they affect the United States. This includes our alleged membership in this parasitical organization. The United States has never been a member of the United Nations, is not now, and can never be, save and except where we, the people agree to have the Constitution amended by the Senate and ratified by all of the States, to permit membership in the United Nations. 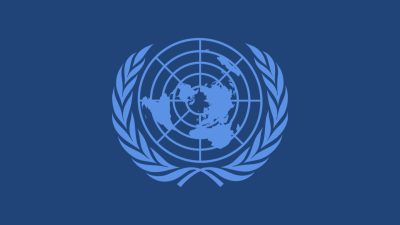 To sum up our position regarding U.N. membership; We, the sovereign people of the United States, are not obligated to obey any U.N. resolutions, because enactment of the United Nations Charter by the Senate, which purported to make the Constitution yield to United Nations law, conflicts with the provisions of the Constitution, and is, therefore, ipso facto, null and void. If the senators in 1945 had bothered to read the wealth of information contained in the Congressional Record as it pertains to treaty-making and agreements, they would not have acted in ignorance by endorsing the United Nations Charter. The United Nations is in fact a One World Government body put together with the objective of overriding the U.S. Constitution clearly the intent of its original framers, Fabians Sydney and Beatrice Webb, Dr. Leo Posvolsky and Leonard Woolf. A good source of confirmation of the foregoing can be found in “Fabian Freeway, High Road to Socialism in the U.S.” by Rose Martin. The foundation of the socialist plot to subvert the United States can be found in such papers as the “New Statesman” and the “New Republic.” Both were published circa 1915, and copies were in the British Museum in London, when I was studying there. In 1916, Brentanos of New York, published the same documents under the title: “International Government,” accompanied by fulsome praise from socialists of every stripe in the U.S.
Wilson, and indeed all Presidents after him, always acted with alacrity when addressed by our British masters in Chatham House. Col. House retired to his summer home, “Magnolia” in Massachusetts on July 13-14,1918, aided and abetted by professor David H. Miller of the Harvard Enquiry Group, to work up the British proposals for a One World Government body. House returned to Washington with a 23 article proposal, which the British Foreign Office accepted as forming the basis of the League of Nations. This was nothing but an attempt to subvert the U.S. Constitution. The “House” draft was forwarded to the British government for its approval and thereafter reduced to 14 articles. Had the senators done their homework in 1945 they would have discovered in short order that the United Nations Treaty was nothing but a warmed-over version of the socialist document dreamed up by British Fabians and supported by their American cousins. This would have sounded the alarm bells. Had the senators discovered who the League of Nations treasonous drafters really were, they would surely have rejected the document without hesitation. If the senators had read the Congressional Record about the League of Nations, particularly pages 8175-8191, they would have found confirmation of Sen. Burton’s claim that the U.N. Charter was nothing but a refurbished League of Nations Charter. Their suspicions ought to have been aroused about the League transferring its assets to the proposed United Nations. They would also have noticed that the task of reshaping the modern version of the League was carried out by a group of dissolute people with no interest in the well-being of the United States: Alger Hiss, whose mentor was the wrecker of the Constitution, Felix Frankfurter, Leo Posvolsky, and behind them, the international bankers personified by the Rothschilds, Warburgs and Rockefellers. Former Congressman John Rarick put it very well, calling the United Nations “A creature of Invisible Government”. Had the senators even glimpsed into the history of the refurbished League of Nations, they would have found that it was resuscitated in Chatham House, and in 1941, was sent with RIIA instructions to Cordell Hull, Secretary of State (chosen by the Council on Foreign Relations, as every Secretary of State has been since 1919), and ordered that it be activated. The timing was perfect, 14 days after Pearl Harbour, when our British masters deemed it would not receive much public attention, and in any case, what with the horror of Pearl Harbour, public opinion would be favourable. So, on December 22,1941, at the behest of the Committee of 300’s international bankers, Cordell Hull was instructed to brief President Roosevelt on his role in bringing up the “new and improved” version of the League of Nations. The sister-child of the RIIA, the Council on Foreign Relations (CFR) recommended that Roosevelt give orders for a Presidential Advisory Committee on Post War Foreign Policy to be set up forthwith. What the senators would have found in 1945, had they bothered to look, was that the CFR directive was tantamount to TREASON, which they could not have condoned and still not violate their oath to uphold the Constitution. They would have discovered that in 1905, a group of international bankers believed they could subvert the Constitution by using a world body as their vehicle, and that the CFR directive was merely a part of that ongoing process. A treaty cannot be legally higher than the Constitution, yet the United Nations treaty did take precedence over the Constitution. The Constitution, or any part of it, cannot simply be repealed by Congress, but a treaty can be overturned or scrapped altogether. (1) Pass a law that will repeal the treaty. (2) Cut off funding for the treaty. Congress must pass enabling legislation to fund all United States obligations, but it is clearly illegal for the Congress to pass enabling funding for an illegal purpose, such as our alleged membership of the United Nations, which has set itself above the Constitution. If the senators in 1945 had done the proper research, and if they had not allowed Dulles to bamboozle, lie, dissemble, deceive and mislead them, they would have found the following exchange between Sen. Henry M. Teller and Sen. James B. Allen and benefited from it. A treaty is not the supreme law of the land. It is only a law, and not even a secure law at that. Any treaty that places the Constitution in jeopardy is ipso facto immediately null and void. Also, a treaty can be broken. Certainly the United Nations treaty is destructive to the national security and the well-being of the United States. Inasmuch as a constitutional amendment, which is required for the United States to be a member of the United Nations, was not passed nor accepted by the 50 states, we are not a member of the United Nations. Such an amendment would have subjugated the right of Congress to declare war, and would have put the declaration of war in the hands of the United Nations on a superior level to that of the Constitution, placing American servicemen under the control and command of the United Nations. Additionally, it would take an amendment to the Constitution to include a declaration of war by the United Nations and the United States on the same document, or to even be associated with it either directly, or by implication. On this one count alone, the United Nations threatens the security of the Constitution and therefore on that count alone, our membership of the United Nations is very definitely null and void and must not be allowed to stand. Sen. Langer, one of two senators who voted against the U.N. Charter, warned his colleagues in July of 1945 that the treaty was fraught with peril for America. McDonald was right on target, but over the last two years, we have seen a marked change in the way the United Nations is run by principally Britain and the United States, and we shall come to that in due course. Under President Bush, there was an obvious desire to remain in the United Nations, as it suited his style of politics as well as his kingly aspirations. In 1945, sick of war, the senators thought that the United Nations would be a means of ending wars. Little did they know that the United Nation’s purpose was just the opposite. It is now known that only five senators actually read the charter scripted by Alger Hiss, before voting on the treaty. 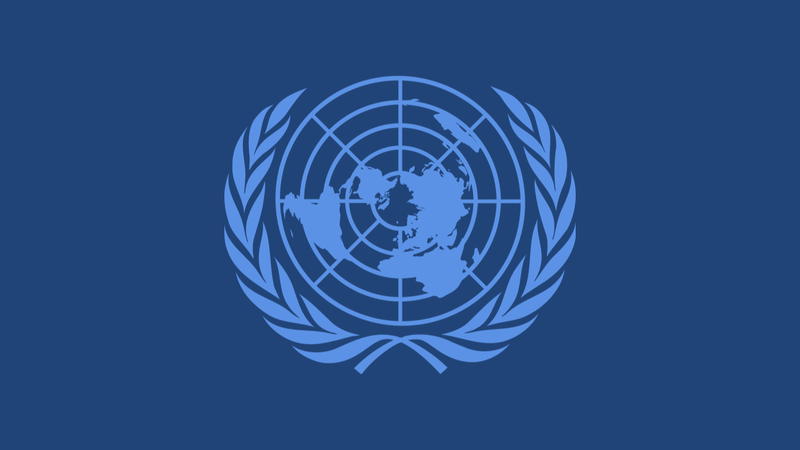 The goal of the United Nations, or rather, the goal of the men behind the United Nations, is not peace, even in the Communist sense of the word, but is actually world revolution, the overthrow of good government and good order and the destruction of established religion. Socialism and communism are not in themselves necessarily the goal; they are only the means to an end. The economic chaos now being perpetrated against the United States is a much more powerful means to that end. If one reads between the lines of the treasonous, seditious U.N. Charter, one will find that much of the objectives outlined in the preceding paragraphs are implied, and, even in some instances, are even spelled out in the pernicious “treaty,” which, if we, the people do not reverse, will trample our Constitution underfoot and make of us slaves in a dictatorship of the most savage and repressive kind under a One World Government. The destruction of Western civilisation. Destruction of nationalism, and with it, the ideal of patriotism. Bringing the people of the United States into penury via graduated income taxes, property taxes, inheritance taxes, sales taxes and so on, ad nauseam. Destruction of the family unit via “free love”, abortion, lesbianism and homosexuality. The Committee of 300 employs a vast number of specialists in diplomacy by deception who make us believe that severely dangerous and often disruptive changes come about through “changing times,” as though their direction could change without some force compelling such changes. The Committee has a vast number of “teachers” and “leaders,” whose sole task in life is to dupe as many people as possible into believing that major changes “just happen” and so, of course, should just be accepted. Toward this end, these “leaders” who are in the vanguard of carrying out the Communist Manifesto’s “social programs,” have cleverly employed the Tavistock Institute for Human Relations methods like “inner directional conditioning” and “Operation Research” to make us accept the changes as if they were our own ideas to begin with. A critical examination of the U.N. Charter shows that it differs only very slightly from the Communist Manifesto of 1848, an unabridged, unaltered copy of which is kept in the British Museum in London. There is an extract of the manifesto, allegedly the work of Karl Marx (Mordechai Levy) and Friedrich Engels, but was actually written by members of the Illuminati, which is still very active today through their top 13 council members in the United States. “There is no way under the noon-day sun we ever joined the United Nations” and force our legislators to recognise the fact that the U.S. Constitution stands supreme over any treaty. The United Nations is a war-making body. It strives to place power in the hands of the executive branch instead of where it belongs: in the legislative branch. Take the examples of the Korean War and the Gulf War. In the latter, the United Nations, not the Senate and the House, gave President Bush the authority to go to war against Iraq, thereby enabling him to use diplomacy by deception as a means to bypass the mandated Constitutional declaration of war. President Harry Truman evoked the same unauthorized power for the Korean War. If we, the sovereign people, continue to go on believing that the United States is legally a member of the United Nations, then we must be prepared for more illegal actions by our Presidents, such as we saw in the invasion of Panama and the Gulf War. By acting under color of Security Council resolutions, the president of the United States can take on the powers of a king or a dictator. Those powers are expressly forbidden in the Constitution. Under the powers vested in the president by U.N. Security Council resolutions, the president will be able to drag us into any future wars he decides we must fight. The groundwork for this method of sabotaging the declaration of war procedures mandated by the Constitution was tested and carried out in the days before the Gulf War, which will no doubt, forever be used as a precedent for future undeclared wars, in furtherance of the strategy of diplomacy by deception. Wars make far reaching changes which are unable to be achieved by diplomacy. Both the Senate and the House must pass separate resolutions declaring that a state of belligerency exists between the United States and the other nation. In this connection we need to study the word “belligerent,” for without “belligerency” there can be no intent to go to war. The House and Senate then must separately and individually pass resolutions declaring that a state of war exists between the belligerent nation or nations and the United States. This officially places America on notice that it is about to go to war. The House and Senate then must pass individual and separate resolutions advising the military that the United States is now at war with the belligerent nation or nations. The House and Senate must then decide if the war is to be an “imperfect” or a “perfect” war. An imperfect war means that only a single branch of the military can become involved, while a perfect war means that every man, women and child in the United States is in a public war with every man, women and child of the other nation or nations. In the latter case, all branches of the armed services are engaged. If the president does not get a constitutional declaration of war from Congress, any and all U.S. military personnel dispatched to fight the undeclared war must return to the United States within 60 days from the date they were dispatched (this vital provision has mostly become null and void). It is easy to see how the Constitution was steamrollered by President Bush; our military are still at war with Iraq and are still being used to enforce an illegal U.N. blockade. If we had a government that actually upholds the Constitution, the Gulf War would never have been started, and our troops would not now be in the Middle East, or for that matter, in Somalia. Such declaration of war measures were designed specifically to avoid the United States being casually thrust into a war, which is why President Bush did an end-run around the Constitution so that we could be railroaded into the Gulf War. Nor does the United Nations have the authority to impose a rule on the United States that tells us to obey an economic blockade of Iraq or any other nation â€” because the United Nations has no sovereignty. We shall deal with the Gulf War in the next chapters. These powers, not given to the president but to the legislative branch of government de facto, make the United Nations the most powerful body in the world via Security Council resolutions. Since abandoning the Jefferson form of neutrality, we have been ruled by a series of vagabonds, one after another, who have plundered America at will and continue to do so. It was Thomas Jefferson who issued a stern warning, which our agents in Congress blithely disregarded, that America would be destroyed by secret deals with foreign governments having the desire to divide and rule the American people, so that the interests of foreign governments would be served before the needs of our own people. Foreign aid, is nothing more that a program for robbing and plundering countries of their natural resources, and handing U.S. taxpayer’s money to dictators in those countries, so that the Committee of 300 can reap obscene benefits from the illegal plunder, while the American people, no better than the slaves of the Egyptian Pharaohs, groan under the huge burden of “foreign aid.” In the chapter on Assassinations we give the Belgian Congo as good example of what we mean. The Belgian Congo was run for the benefit of the Committee of 300, not the Congolese people. The United Nations uses foreign aid as a means to plunder the resources of sovereign nations. No pirate or robber ever had it so good. Not even Kubla Kahn had it as good as the Rothschilds, Rockefellers, Warburgs and their kin have it. If a nation should demure in handing over its natural resources, as was the case with the Congo, which tried to protect its natural resources. United Nations troops go in an “compel compliance”, even if it means murdering civilians which U.N. troops did in the Congo ousting and murdering its leader, as was the case with Patrice Lumumba. The ongoing attempt to murder President Hussein of Iraq is yet another example of how the United Nations is subverting U.S. law and the laws of independent nations. The question is, how long will we, the sovereign people, go on tolerating our illegal membership in this One World Government body? Only we, the sovereign people, can order our agents, our servants, in the House and Senate, to repeal forthwith our membership in a world body, which is injurious to the well-being of our United States of America.